図2.4(a)　Program in Memory and Control Flow at Execution.： Program（Basic Blocks）in Memory. 図2.4(b)　Program in Memory and Control Flow at Execution.： Control Flow for Basic Blocks. 図2.5(a)　Algorithm Example and Its Data Dependencies.： Program Fragment. 図2.5(b)　Algorithm Example and Its Data Dependencies.： True Data Dependency. 図2.5(c)　Algorithm Example and Its Data Dependencies.： Output Data Dependency. 図2.5(d)　Algorithm Example and Its Data Dependencies.： Anti-Data Dependency. 図2.6(a)　Algorithm Example and Its Implementation Approaches.： Program. 図2.6(b)　Algorithm Example and Its Implementation Approaches.： Sequential Implementation. 図2.6(c)　Algorithm Example and Its Implementation Approaches.： Pipelined Parallel Implementation. 図2.1(b)　History of Intel Microprocessors.： Clock Frequency. 図2.7(a)　History of Compositions.： Number of Transistors in Microprocessors. 図2.7(b)　History of Compositions.： Number of IOBs in Xilinx Single Chip FPGAs. 【67】 D. Matzke. Will physical scalability sabotage performance gains? Computer, 30(9):37-39, September 1997. 【68】 W. J. Dally and B. Towles. Route packets, not wires: on-chip interconnection networks. In Design Automation Conference, 2001. Proceedings, pages 684-689, 2001. 【69】 John Paul Shen and Mikko H. Lipasti. Modern Processor Design: Fundamentals of Superscalar Processors. McGraw-Hill, beta edition, 2003. 【70】 Viji Srinivasan, David Brooks, Michael Gschwind, Pradip Bose, Victor Zyuban, Philip N. Strenski, and Philip G. Emma. Optimizing Pipelines for Power and Performance. In Proceedings of the 35th Annual ACM/IEEE International Symposiumon Microarchitecture, MICRO 35, pages 333-344, Los Alamitos, CA, USA, 2002.IEEE Computer Society Press. 【71】 M. Bohr. A 30 Year Retrospective on Dennard's MOSFET Scaling Paper. IEEE Solid-State Circuits Society Newsletter, 12(1):11-13, Winter 2007. 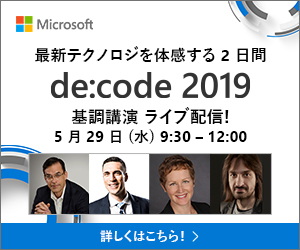 【72】 Hadi Esmaeilzadeh, Emily Blem, Renee St. Amant, Karthikeyan Sankaralingam, and Doug Burger. Dark Silicon and the End of Multicore Scaling. In Proceedings of the 38th Annual International Symposium on Computer Architecture, ISCA '11, pages 365-376, New York, NY, USA, 2011. ACM. 【74】 T. Makimoto. The hot decade of field programmable technologies. In 2002 IEEE International Conference on Field-Programmable Technology, 2002. (FPT). Proceedings., pages 3-6, December 2002.